Sacred Heart Model School and Nativity Academy students celebrated the first day of National Catholic Sisters Week and International Women’s Day by gathering to bless Paula’s Pantry, named in honor of Sister Paula Kleine-Kracht, who founded Nativity Academy at St. Boniface. Student leaders from SHMS and Nativity gathered to bless the completed pantry with school leaders, Sister Paula and Fr. Jeff Shooner, Pastor of St. Boniface. 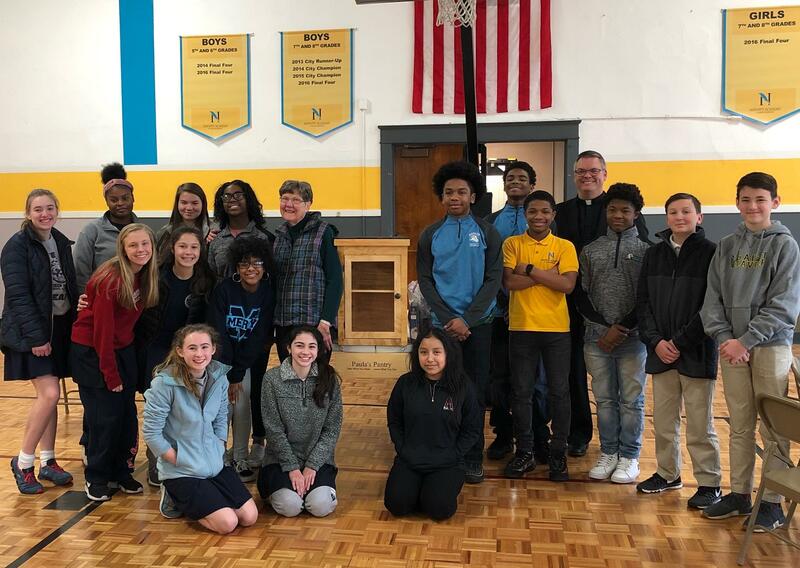 Sacred Heart Model School and Nativity Academy were awarded a grant from National Catholic Sisters Week fund to construct a "Little Free Pantry" (LFP). Nine SHMS Student Advisory Board members and eight Student House Leaders from Nativity gathered to construct the pantry in January in Nativity’s fully-equipped maker space. Typically, in high poverty areas, an LFP is most often for those who are not easily able to meet everyday food and personal needs. The $1000 grant funded the construction of the pantry, including all the materials. Now that construction is complete, the group will secure a destination and finalize planning for its opening and continued use. The Pantry will eventually be placed outside near St. Boniface where any who need assistance will receive it, and all who can donate to the cause are able. The National Catholic Sisters Week is an annual celebration created to honor women religious, and is a series of events that instruct, enlighten and bring greater focus to the lives of these women. 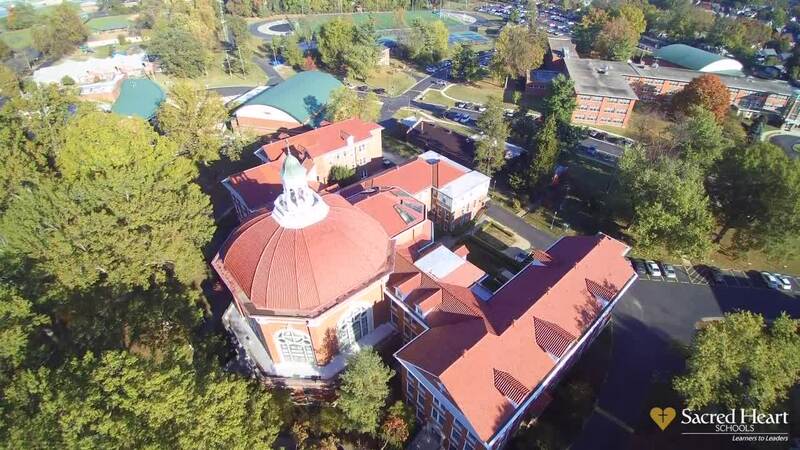 Sacred Heart Schools, a Catholic community rooted in the Ursuline tradition, inspires diverse learners to become globally minded, compassionate leaders.